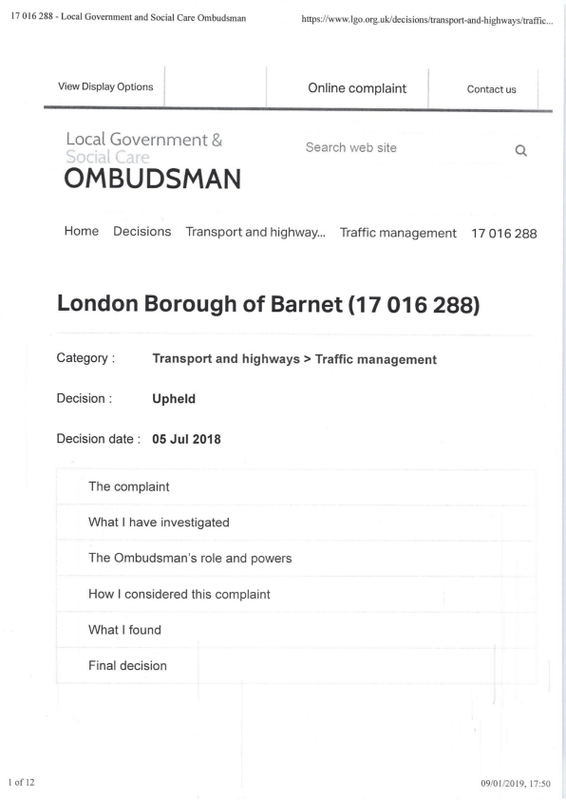 Mr Mustard ( mrmustard@zoho.com ): Irony alert - Barnet Council failing to issue PCNs when demanded. Helping the mentally or physically ill, the elderly & the poor to fight Council PCNs. 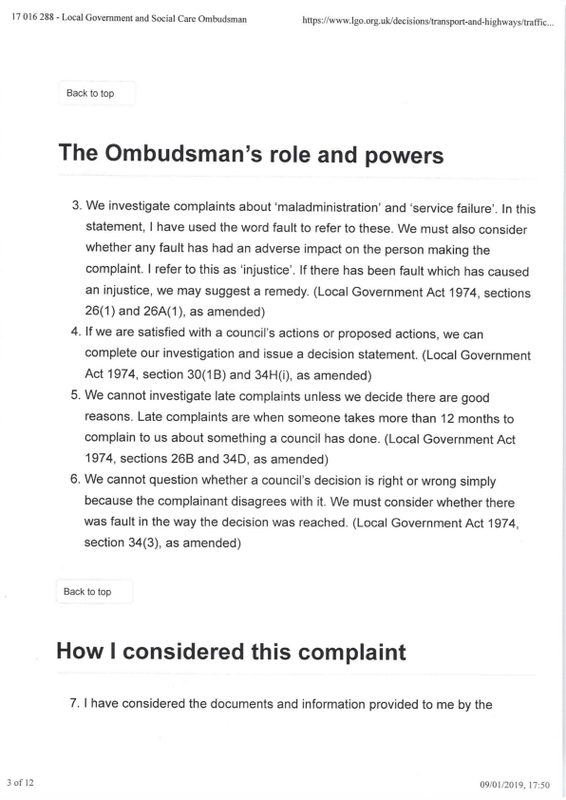 Writing about blunders, democracy and profligacy at Barnet Council. 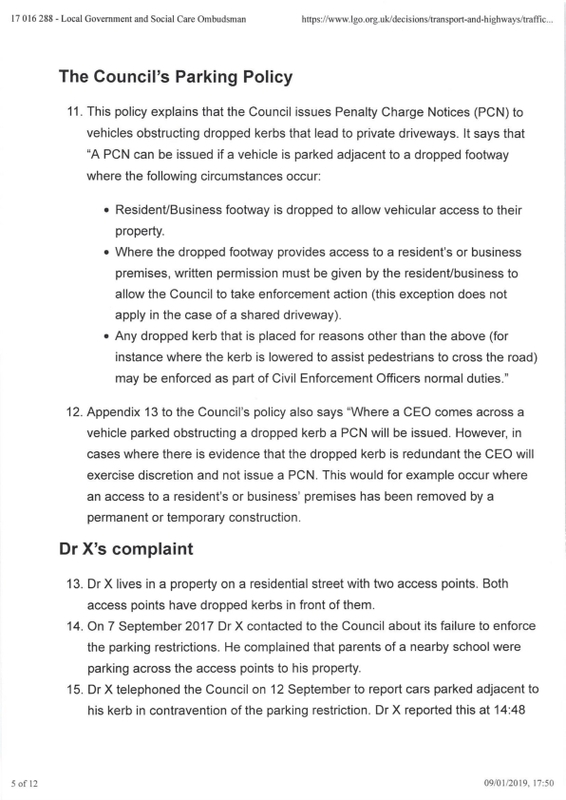 Irony alert - Barnet Council failing to issue PCNs when demanded. 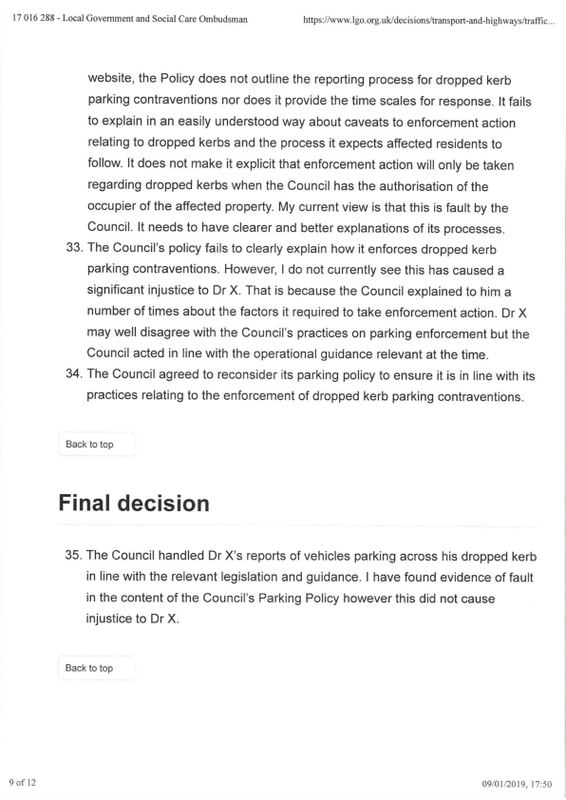 Paragraph 8 is correct in the context of this decision (Mr Mustard expects but the location is unknown) but adds the caveat that you can't park across your dropped kerb during the operational hours if you are inside a CPZ and there is a single yellow across the drop. You have been warned. Paragraph 17 is amusing. Here is part of a case Mr Mustard is handling at the tribunal next week. 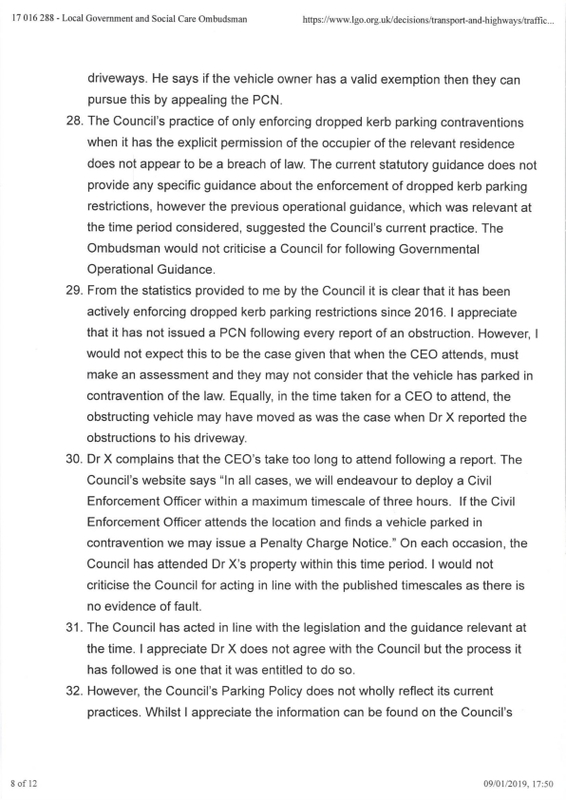 In this case the council issued a PCN without a request from the occupier and won't back off (although Mr Mustard has emailed the parking manager so that attitude may change very suddenly). The Highway Code is merely guidance and is incomplete advice. In England we hold a Driving Licence not License (grrr). 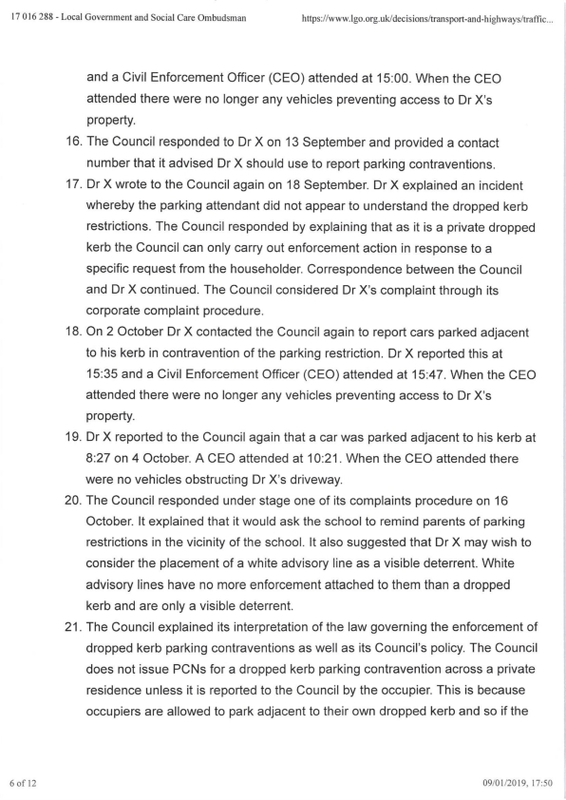 The tribunal have previously told Barnet Council not to say the CEO is a credible witness. That is a matter that the adjudicator will decide. 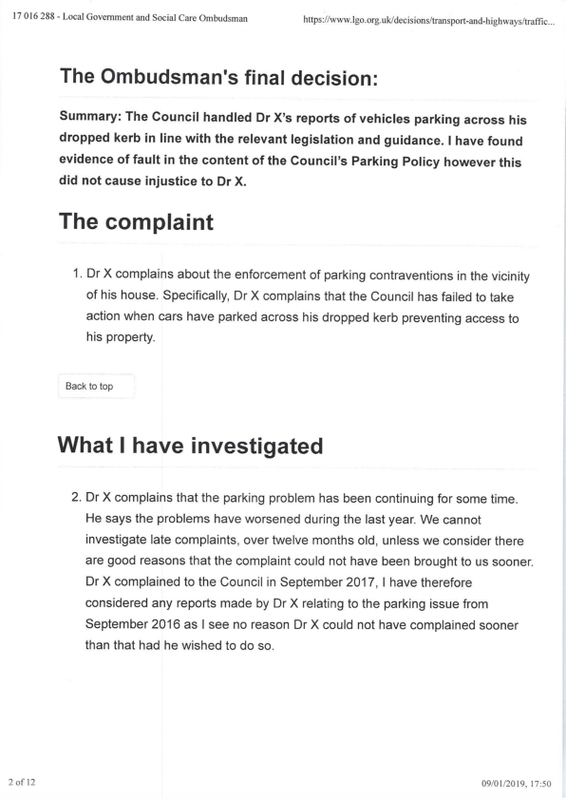 What is incredible is Barnet's attitude to the motorist, getting them to produce a letter from their sister which might be as convincing as a note from your mum to the school that you were sick yesterday, when you were skiving and wrote the note yourself. 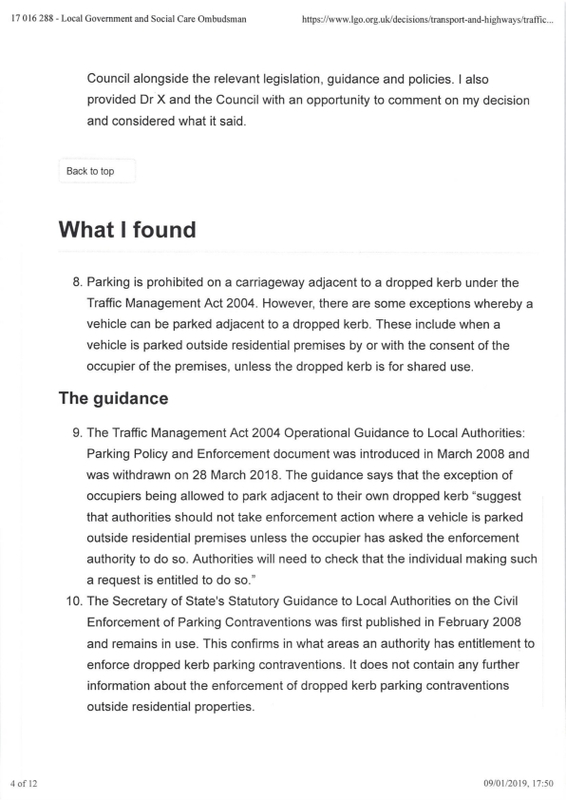 Paragraph 20 doesn't say that the council charge you to have a white line painted. Paragraph 21 is the one which will kill the PCN at the tribunal. 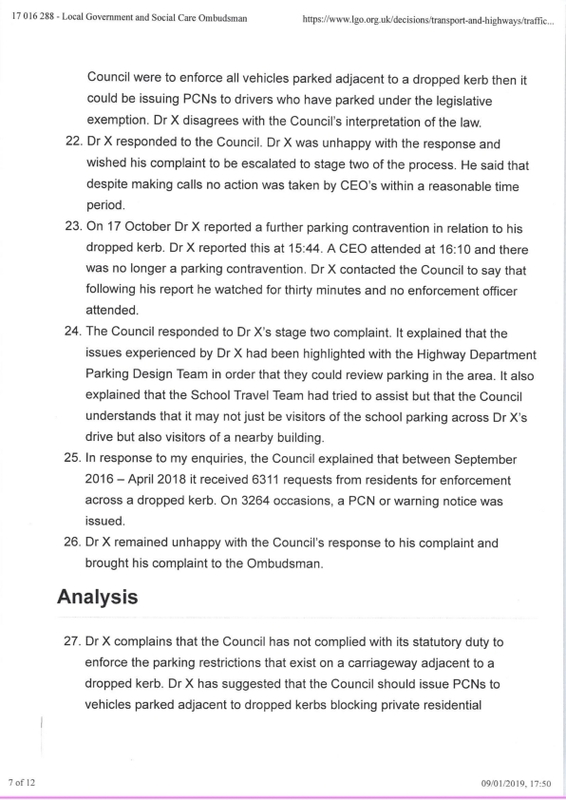 Given the behaviour of the council in resisting the Appeal it looks like Mr Mustard will be making his first claim of 2019 for costs on the grounds of their wholly unreasonable behaviour. He only made one such claim in 2018 but council performance has steadily gone off in 2018. There is a better solution for the council than making residents phone up for enforcement. Have an app developed. then residents can sit at home, press a button, send a photo if they wish, and have the request pinged to the hand held equipment of the nearest CEO. Mr Mustard doesn't defend people who park across the dropped kerb of others without permission. I now moderate comments in the light of the Delfi case. Due to the current high incidence of spam I have had to turn word verification on.